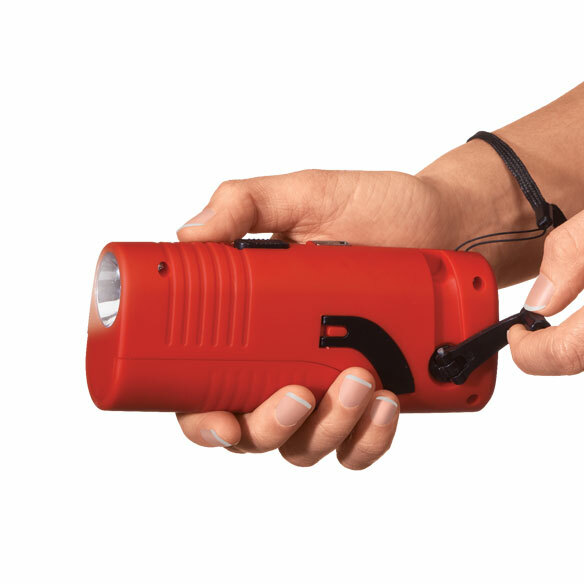 This self-powered gadget features 3-in-1 emergency crank flashlight, radio and phone charger. Simply turn the crank for instant power. LED bulb provides 10,000 hours of long-lasting, bright light. Radio features FM tuner and volume control. USB port charges a cell phone or other device. Includes lanyard for easy carrying. Uses 3 AAA batteries (not included) for a backup power option. 5 11/16" L x 2 1/4" H x 1 3/8" W.
I bought this product as a back-up when the power goes out. The radio and light are fine, but I wouldn't be able to charge my cellphone. Good idea & less expensive than other models. It is user friendly especially for a woman. This will help me in the event of an power outage, I remember Sandy. I have always wanted one in case we lose electricity. This seems like a good item to have in our "Grab and Go" bag. Hurricane season in my area. In case of emergency, thought it looked very convenient. this is something a guy can uses well as gals. I want something that will work when lights go out in storms . You can never have to much emergency equipment. Never know when the power might go out! Super handy to keep in car for emergencies. For convenience when needing power. It is a handy item to have around. 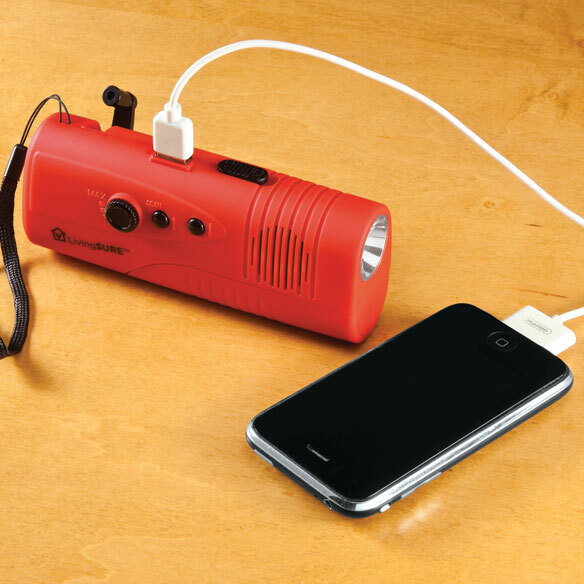 This is a very practical equipment to own, imagine, I can listen to radio, use the flashlight and at the same time can be a phone charger! What more can one ask? In the event of a lights-out, I want an extra light when I have guests. BEST ANSWER: Thank you for your question. 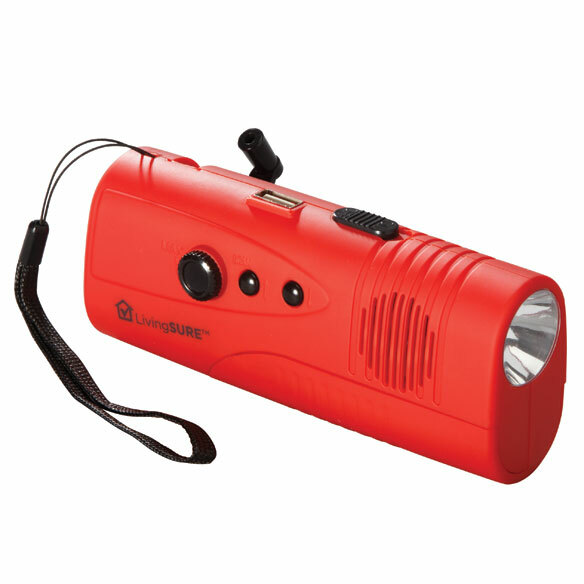 The Flashlight Radio is 5 3/4" long by 2 1/4" high by 1 1/2" wide and weights approximately 1 pound. We hope this information will be of help to you. what is needed to charge a cell phone ??? BEST ANSWER: Thank you for your question. You would need the cable for cell phone. We hope this information will be of help to you. Does this charge Apple phones? BEST ANSWER: Thank you for your question. It can charge any phone, as long as you have a charging cord that has a USB port on one end. We hope this information will be of help to you.